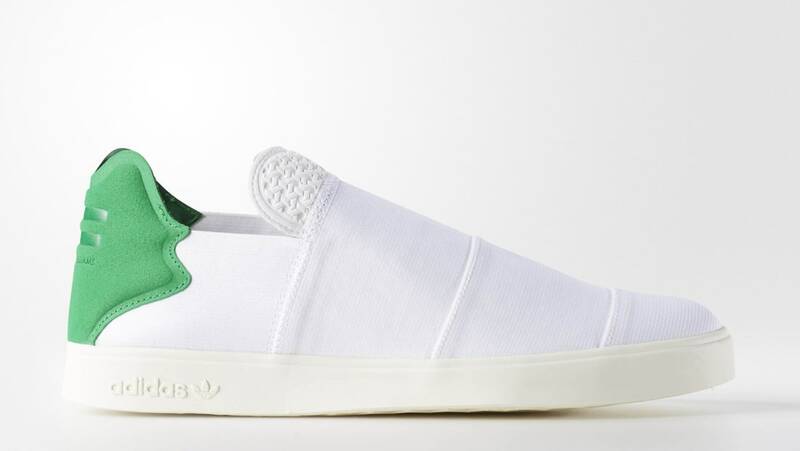 Adidas adidas Elastic Slip-On x Pharrell Williams "White/Green"
adidas Elastic Slip-On x Pharrell Williams "White/Green"
Adidas and Pharrell Williams introduce the adidas Elastic Slip-On for the Summer of 2016. Taking inspiration from the adidas Stan Smith, the sneaker features a laceless, slip-on, upper done in a mix of elastic, textile and suede in the trademark white and green colorway. Release date is May 5, 2016 at a retail price of $75.